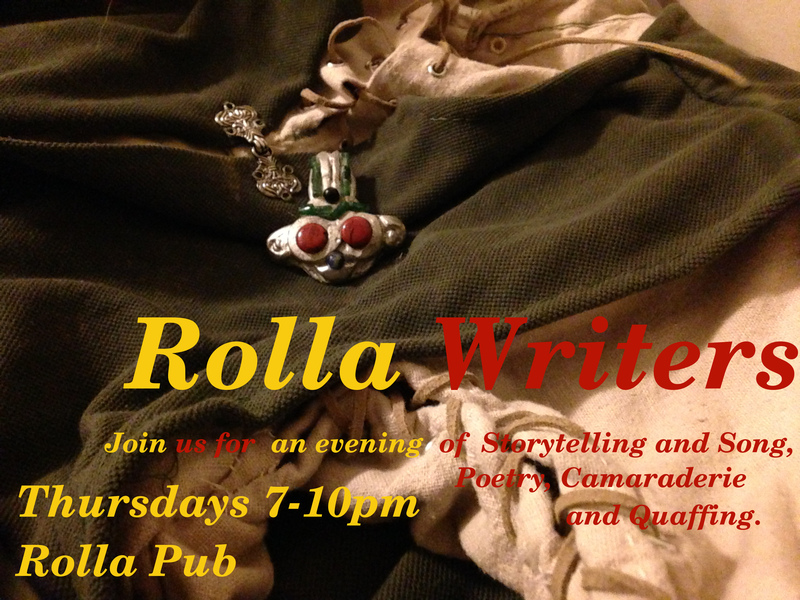 Rolla Writers Association Convenes This Thursday! Calling all writers, poets, artists, quaffers and creative warriors! Patricia Ann Martin, owner of the fabulous Rolla Pub, is providing her singular venue for a gathering of creative minds. poetry, short stories, artwork, novels, memoirs, songs and dances in a completely supportive, positive environment. Bring your mead horn and quaff to the skaldcraft! Dress the part for your poetry reading! Celebrate warmth and creativity with other friendly, positive artists and writers! This entry was posted in Events, Uncategorized and tagged anthology, artists, author, book, Canadian author, Canadian fiction, Canadian short story, creative writing, fantasy, novel, Patricia Ann Martin, quaffing, Rolla Pub, Rolla Writers, Science Fiction, short story, skald, StarkLight Press, Thor, Tony Stark, Virginia Carraway Stark, Virginia Stark, Who's Who, writers. Bookmark the permalink.